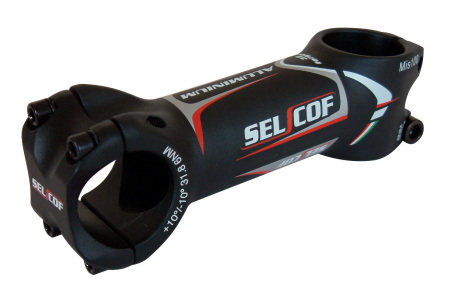 Selcof is an Italian firm that has achieved success in the sector of bicycle components, with innovative products and production and quality control methods. The constant cooperation with professional riders has brought to develop a range of products which are perfect for competition as well as for amateur cycling. All products are constantly tested in advanced laboratories and according to the current European standards. The wide and differentiated use of materials such as carbon, titanium, and various Aluminium alloys allows to meet all the needs of the market. 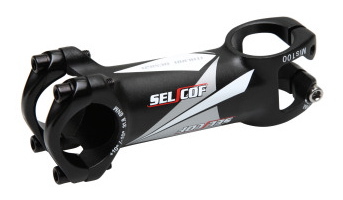 Carbon stem Monocoque 4 bolts. 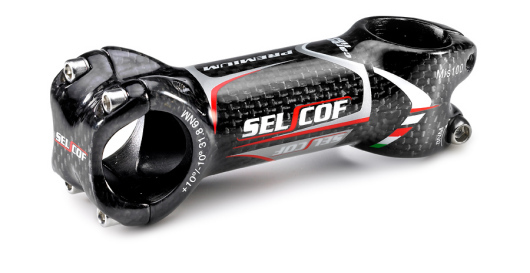 Alu-carbon stem premium 4 bolts. Alu stem white color 4 bolts. Alu stem black 4 bolts 3 d forged. 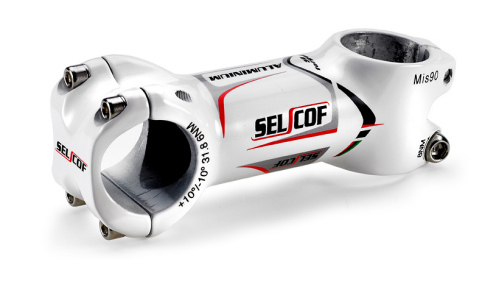 how much is the KA04 Alu stem? thanks!